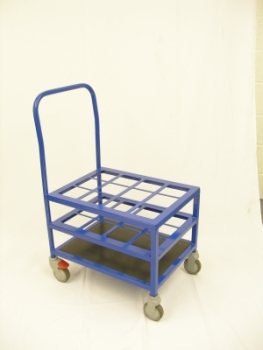 A highly manoeuvrable trolley with capacity for 12 CD, C or D size cylinders. 100mm front fixed castor. 100mm rear swivel brake castor.